Every Star Wars movie introduces a range of new aliens to the galaxy, and The Force Awakens was no exception. The task of creating these new aliens for the new fell to Neal Scanlan, who headed up the creature shop on The Force Awakens. Scanlan spoke recently about his experience working on Star Wars with USA Today. Scanlan said, "There were certain aliens that we made then, even during the shooting process, clearly transcended from being just a background alien to having an authority or likability." He added, "Should the human race of Star Wars die tomorrow, any one of these characters could take the mantle and become the next species that dominated the universe." Scanlan also discussed the process for updating the looks of returning favorites like Admiral Ackbar and Nien Numb, saying the design was tweaked slightly "just to make them the way we remembered them as children. For today’s audience one has to do a little cosmetics on it but make sure we didn’t lose the spirit or the personality." 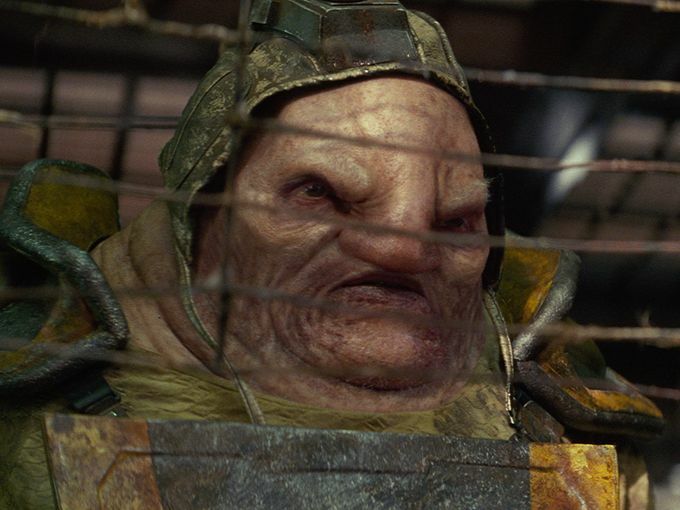 I really liked the creatures in the foce awakens. But i think you can have new aliens in a mix with established species, i din't like TFA just put a bunch of new aliens and forget about the old ones. ( except calamarian, sulustan and wookie of course, because are known characters. ) Why would you do that?, the force awakens is in the same universe. Episodes I-VI actually reuse very very few alien species, so I've never understood the complaint about VII not reusing species. V reuses no species from IV. VI reuses no species from V. I reuses only 2 species from IV. II reuses no species from I or IV-VI. III reuses no species from I-II or IV-VI. The *only* exceptions to any of these are main characters obviously, and the Galactic Senate scenes, which contain hundreds (thousands?) of species, so that really shouldn't count in comparison to something like VII. There is a Givin in Maz's cantina! New movies have been making a mix of new and old species, you dont need to have a lot old species together, simply have two or three, to make it familiar, in Maz castle it looked like it was another gallaxy far far away from what we know in star wars movies, I like the new aliens, but why arent there any known aliens?